Global processing leader Mike Battersby has been appointed Chair of the CEEC Board of Directors. UK-based Mr Battersby has been a CEEC Director since 2012, He brings board expertise and more than 40 years’ experience in the minerals industry in operations, general mine management, technical consulting and corporate development to the role. Mr Battersby’s current board positions include Chairman and Managing Director of the Maelgwyn Mineral Services (MMS) group of companies in the UK, South Africa and Australia, and Director of Greenhills Technology International Limited. He recently stepped down as a board member of the British Triathlon Federation and Welsh Triathlon. A Chartered Engineer, he has operational experience with AngloGold, DeBeers and Billiton in Africa, Europe, South America and Australia plus more than 20 years working in the commercialisation of innovative technology. In 1997 he co-founded the award-winning MMS, one of the leading technology development companies in froth flotation and gold processing. 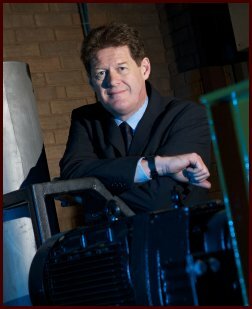 Mr Battersby holds degrees in Enterprise and Innovation (Swinburne University of Technology, Australia) and Mineral Processing (Cardiff University, Wales, UK). He is a Member of the Institute of Materials, Minerals & Mining (London), the Australasian Institute of Mining & Metallurgy, and the Society of Mining Engineers of AIME (USA). His global perspective and knowledge will steer the next chapter of CEEC’s work with industry. “CEEC’s mission is to share the latest energy-efficient comminution and minerals processing solutions to help miners achieve lower costs, reduced footprint, greater productivity, and enhanced business value. I am proud to have been appointed to lead an organisation with such an important mission and an impressive track record,” he said. “Positive actions on energy and productivity by industry are more important than ever, and CEEC’s work helps industry to collaborate, and identify and implement solutions to these challenges. Comminution, a major cost and energy consumer (3% global electrical energy), is key to tackling these issues. Mr Battersby acknowledged the great work of outgoing chair Joe Pease. “Under Joe’s five-year leadership, CEEC has extended its global reach and now has experienced leaders strategically positioned around the world. This strategy enables us to keep fully engaged with the issues facing comminution and mineral processing site specialists as well as the broader business challenges facing mining companies. During his stewardship, CEEC has funded and delivered energy curves and international workshops to industry, driving proactive improvement in energy efficiency worldwide,” he said. “I would also like to acknowledge the contribution of the inaugural CEEC Chair, Elizabeth Lewis-Gray, who facilitated the establishment of CEEC with the aim of accelerating industry uptake of eco-efficient comminution. She and the first CEEC Board established a solid foundation and excellent governance systems. From these beginnings, we have been able to build a global network of more than 15,000 leaders, practitioners and researchers to support industry uptake of best practices and cutting edge advances. “CEEC would not exist without industry support and I thank our sponsors who make this work possible.” Mr Pease remains an active director and welcomes Mike’s appointment. “Mike is a highly respected expert and is well qualified to lead CEEC’s work in communicating efficient practice, and to develop new collaborative partnerships with global groups,” he said. CEEC CEO Alison Keogh said Mike Battersby’s appointment amplified the renewed commitment to collaborative partnerships and projects in North America, South America, Africa, Asia, Europe and beyond. “I encourage industry professionals and researchers to contact me with their leading site practices, innovations and news. By sharing this information across the CEEC network, we can help drive energy efficient processing and enhance industry’s success globally,” she said.